WPP have a huge range of products designed for both improved appearance and performance enhancement, here are just a few. Give us a call for more details. 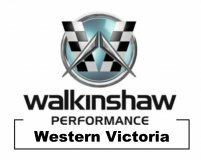 The Walkinshaw Performance Cold Air units with their distinctive appearance and badging are available either separately or as part of the ‘Power Pack’ option for all Holden VE V8 and 6-cylinder models from Walkinshaw Performance outlets. WALKINSHAW PERFORMANCE CAMSHAFT UPGRADE PACKAGES. Complete packages including highly developed camshaft profile, hi performance valve springs and all parts required. Available for Holden and HSV vehicles, the Walkinshaw Performance Short Shifter decreases throw distance whilst improving general shift smoothness. Embroided Head Rest and Arm Rest covers are now available in Walkinshaw Performance Panorama Silver or a subtle tone on tone (black on black leather), this package will set your interior apart from the rest.